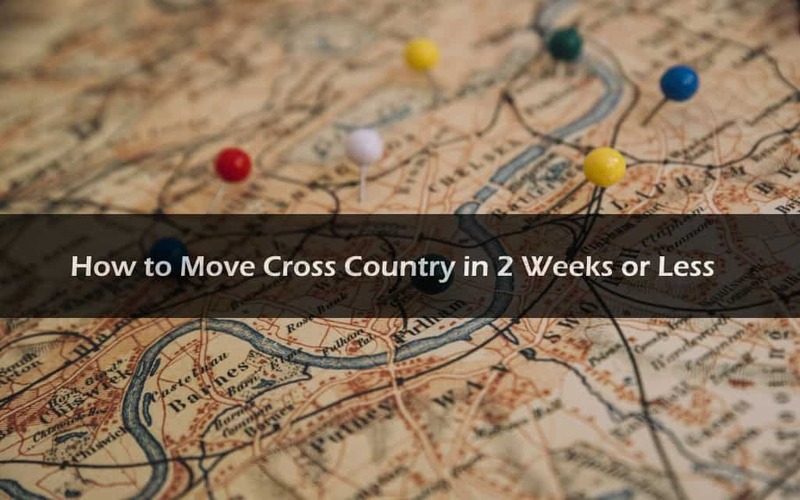 When your boss decides to transfer you to a different location, you may have only two weeks to prepare, so it is essential to understand the moving process so that you have less stress from the task. Here is what experts suggest when you must move in only a few days. First, you must find the right cross country or long distance moving company because some companies only offer local moving services. When a moving company is transporting household goods for hundreds of miles, there are regulations in each geographic region concerning the truck drivers and moving trucks. In addition, a moving company will need to arrange accommodations for the truck drivers who need to have time to sleep while transporting your items, or alternatively, the moving company must have several different drivers to drive the truck. To save time, money and anxiety, we recommend getting rid of unneeded possessions as fast as possible. You likely won’t have time to have a yard sale in only two weeks before the moving process, so it is better to throw items away, or you can give the things to a charitable organization. It is a good idea to sort through everything that is stored in a garage or basement along with the closets and cupboards to make the moving process smoother. Placing similar items together will make the moving process easier for you and the packers. If you have books in various areas of a home, then stack all of these items in the same place. When you want to pack heavy items such as books on your own, make sure to use small but sturdy boxes to avoid having a container that is too difficult to pick up. Fragile items such as glassware, dishes and figurines require special packing materials, so if you place these things together, then it is faster to wrap and pack the items to prevent breakage. You must have the right types of packing materials to protect your possessions from damage. It is possible to have portable garment containers that have clothing rods, or you can have cardboard boxes that have dividers to separate breakable items. It is better to have too much cushioning material, tape and containers on your moving day to avoid making multiple trips to a store. While packing your possessions, create a folder that holds important documents that you will carry with you. In addition, you should have a special box that contains the items required for the first day in your new home. You must also label each container carefully while packing so that you know what is inside the box along with helping the movers understand where to place the container in your new home. Follow these 5 simple tips to help ensure a smooth and painless move. Moving your entire home in two weeks or less is going to be a challenge, but you can be successful with the right preparation, and it’s nice to know that there is someone out there to offer a helping hand (we all need one from time to time). Good luck and happy moving!